For Maximo administrators that run Maximo on Microsoft SQL Server who need to deliver custom reports in a simplified, cost-effective manner, the Ontracks Maximo SQL Server Reporting Services (SSRS) Plugin is a Maximo add-on that allows Microsoft’s SSRS reports to be launched inside Maximo so that costly Actuate or BIRT report development is no longer necessary. Unlike Actuate or BIRT custom reports, SSRS is a much simpler, more user-friendly and less maintenance-prone report writing environment and the Ontracks SSRS Plug-in provides seamless integration with Maximo, so that the user experience of launching the SSRS reports is performed inside Maximo itself and is therefore seamless and identical to Actuate or BIRT reports. 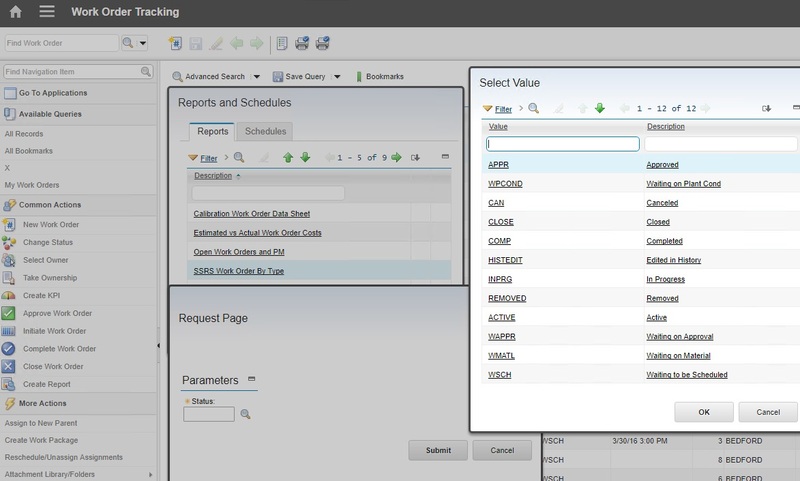 Anyone who’s had the task to build custom reports in Maximo knows that this is not a simple task. Whether you use Actuate in version 5 or 6, or BIRT in version 7, report writing can be tedious, error-prone and very time-consuming. Not to mention that if you upgrade from 6 to 7, you will more than likely have to rebuild those custom reports. 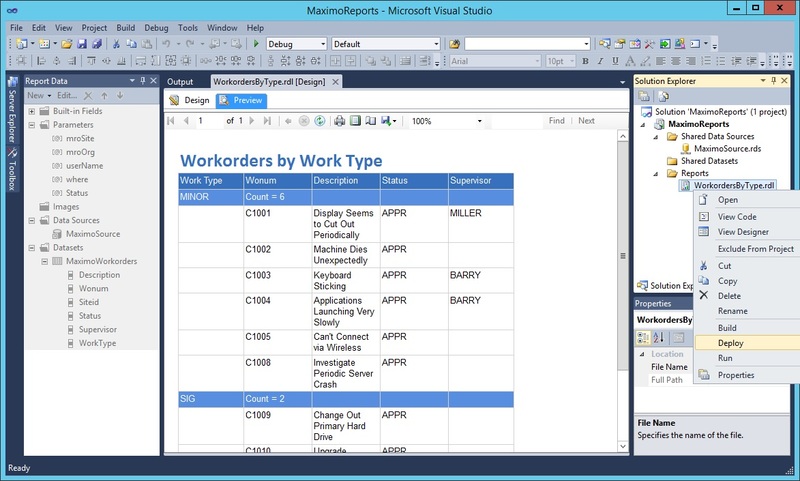 With Microsoft’s SQL Server Reporting Services (SSRS), you can quickly build Maximo reports without the need for scripting. With Ontracks’ Maximo SSRS Plug-in, you seamlessly incorporate SSRS into Maximo, and launch these reports without the Maximo application itself. Report parameters are entered in Maximo and passed through to the report, identical to how the native Maximo reports are viewed. This means that the end-user is not bothered with any details, but they are viewing a quickly developed and deployed SSRS report the same way they do today with native reports. 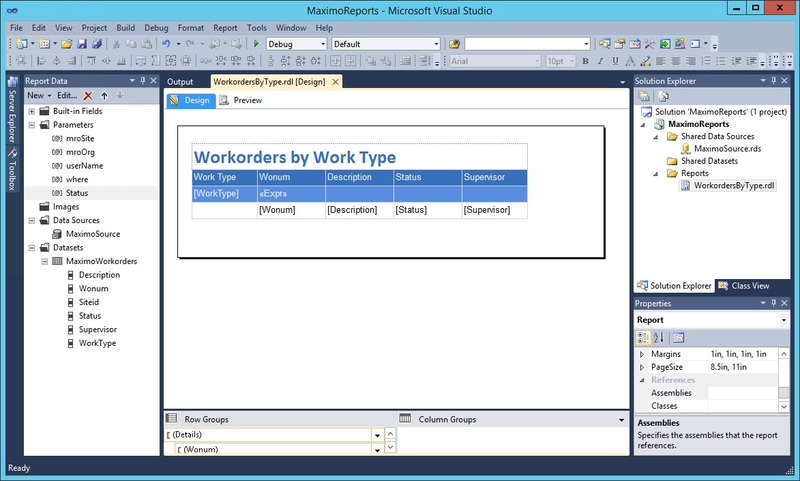 Rapidly build reports in a graphical environment in Microsoft’s Development Studio. 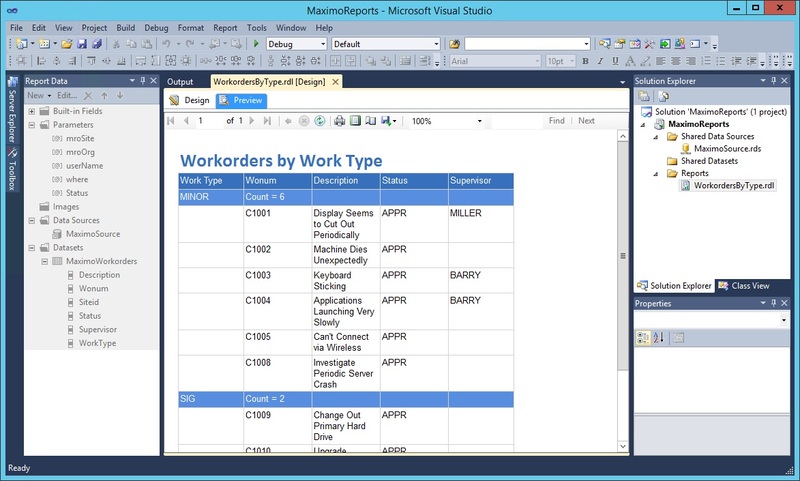 Quickly preview the report inside Microsoft’s Business Development Studio. 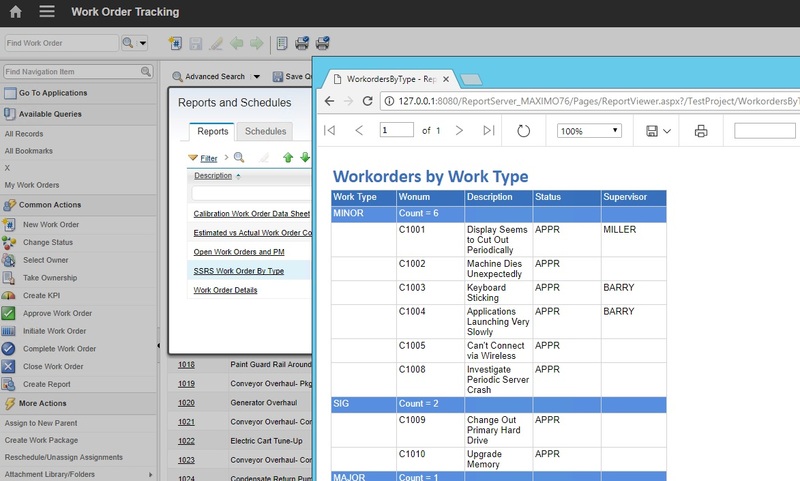 Rapidly deploy the report to the SSRS report server via a simple right-click. Launch the report in Maximo and specify any report parameters within the Maximo application itself. View the SSRS report as a Web page, launched from Maximo.